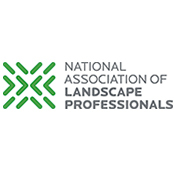 These regional, two-day workshops turn great landscape contractors into great business owners. Taught by actual landscape contractors, these hands-on classroom events help landscape companies build the systems they need to create a more predictable, more profitable future. Day 1: Build Your Landscape Budget, Establish Sales Goals, Calculate Equipment Cost Recovery, Calculate Overhead For Jobs. Day 2: Estimating Landscape Work, Paperless Timesheets, Live Job Tracking, Billing + Job costing.